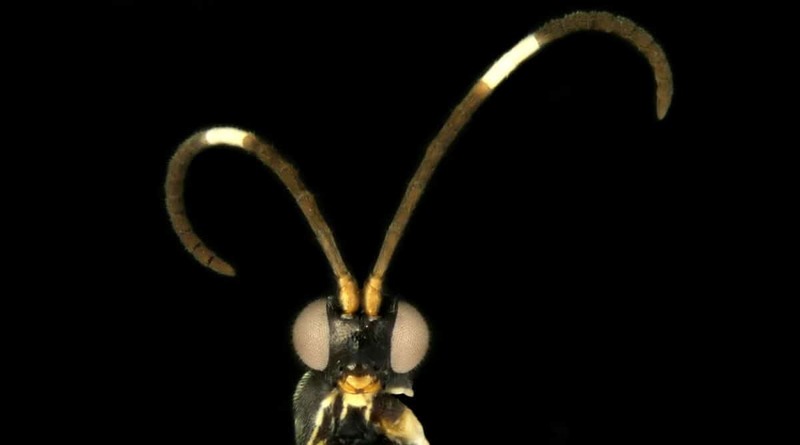 New wasp species have been named after Oreo biscuits and Doctor Who aliens by university researchers. One species has been dubbed “Sathon oreo” and another “Choeras zygon” after the Zygon race of aliens in Doctor Who. Dr Erinn Fagan-Jeffries, from the University of Adelaide’s School of Biological Sciences, said: “I named one wasp Sathon oreo as the antennae are dark brown with a thick white stripe in the middle … like an Oreo chocolate biscuit. This especially gruesome species inject their eggs into live caterpillar and the baby wasps slowly eat the caterpillar from the inside out. Although they sound quite frightening, they are very important in ecosystems for regulating native caterpillar populations. One of the new wasps, Choeras bushblitz, is named after the Bush Blitz species discovery programme. It is a unique multi-million dollar partnership between the Australian Government, BHP and Earthwatch Australia to document plants and animals across the country. Bush Blitz Manager Jo Harding said: “Less than 10 per cent of this group of wasps have scientific names which is why programmes like Bush Blitz are so vital. Taxonomy, the scientific discipline of describing new species, is vital for understanding and documenting living things. “Until taxonomists name and formally describe a species it is difficult for other researchers, such as those working in conservation or biological control, to do anything with it,” Ms Harding said. Taxonomists and entomologists that helped Dr Fagan-Jeffries collect vital specimens for this research, as well as those who feature prominently throughout her career, were also honoured with species named after them. “I always loved insects in school, and I had a lot of incredible support from entomologists, back then and also during my PhD, who fuelled my passion for following a scientific career path,” Dr Fagan-Jeffries said. The study was published in the journal Zootaxa.